Mint Security Systems specialise in CCTV installations as an effective means of deterring theft, robbery & vandalism for home & business. Once linked to our high tech digital recording equipment a CCTV camera system can provide 24 hour surveillance. As NSI approved CCTV installation engineers we provide security systems for domestic and commercial customers in the Nottingham, Sheffield, Chesterfield, Mansfield, Lincoln Retford and Worksop areas. 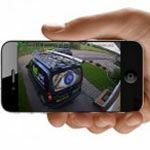 With advanced features like night vision, remote monitoring via the internet and smartphone viewing apps, we can advise you on exactly the right combination of CCTV video cameras, DVR recording equipment & lighting to observe and protect your property and goods. The planning behind a CCTV installation, whether it be a digital CCTV system with motion detection & acquisition for hotel use, a video CCTV system linked into a burglar alarm system for business office or industrial premises, or a covert CCTV system for shop or home use, the way CCTV installation is carried out is crucial to its success. At Mint Security Systems we carry out a site survey at your home or business premises to discuss what needs are to be achieved from the installation of the CCTV system & cameras. 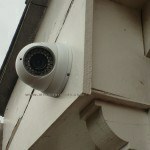 Then we design a CCTV security system to fulfil your objectives. Installation of all CCTV equipment is undertaken by our in-house technical engineers who are familiar with all types of CCTV security. This means that your CCTV system performs to the standards specified in the initial survey. The image to the left is a live feed taken from our office car park camera so you can see the quality of the CCTV we install.